How Save the date wedding magnets will make your guests remember your wedding date just like you? Wedding is the most beautiful milestone for any couple and their family. However it takes a lot of planning and coordination to make any dream wedding real! Inviting the guests well in advance to ensure their presence is one of the biggest challenges in any wedding planning. Busy life styles, packed schedules and time crunch can all dampen the chances of atleast some of your guests making it to the function. This is where wedding save the date magnets come into the bigger picture. These serve as a formal declaration of your wedding day and are sent 6-12 months before the wedding as the first official announcement of the wedding. Save the date magnets ensure that the guests have sufficient time to make hotel, travel and other arrangements. Designed for a brilliant display of all the essential details of the wedding including name of the couple, date, venue time apart from images and, artwork or quotes, these make wonderful displays over the refrigerator door of your guests to make your wedding easy to remember and fun to reserve. With these delightful Save the Date magnets, you’ll never forget your wedding day and neither will your guests! With a colorful refrigerator magnet right in front of their eyes, your guests will be reminded of the impending wedding day each time they walk by the refrigerator and will prompt them to be ready for the big day. Often weddings end up as innocuous affairs due to a low turnout in spite of all the efforts put in by the couple and their family. The best way to get all the invitees turn up for the event is by keeping your event at the front of people’s minds and this is what custom magnets do precisely! 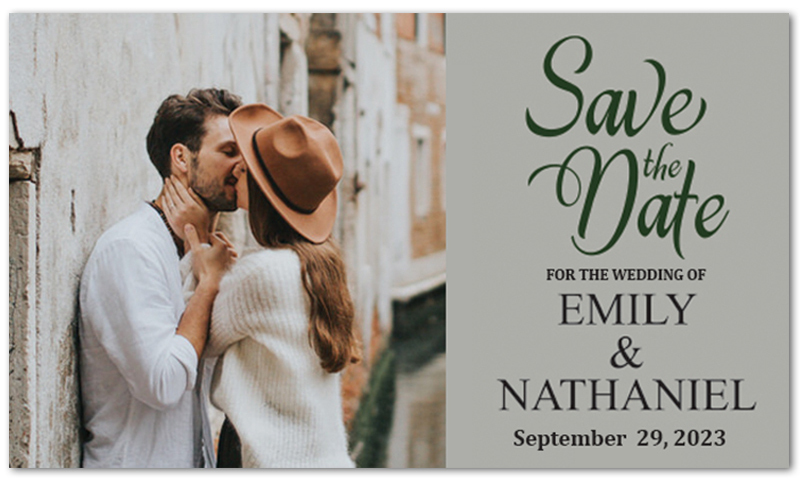 Here are some of the most popular save the dates magnets.3.5×4 Custom Save the Date Wedding Magnets . Traditional wedding cards are always square and rectangular and you can utilize these familiar shapes for sending pre- invites too. Imprint your photograph, date, venue and contact information and your guests will never forget your wedding date! And the cherry on the cake is that we offer free artwork, proof and free delivery at your doorstep! 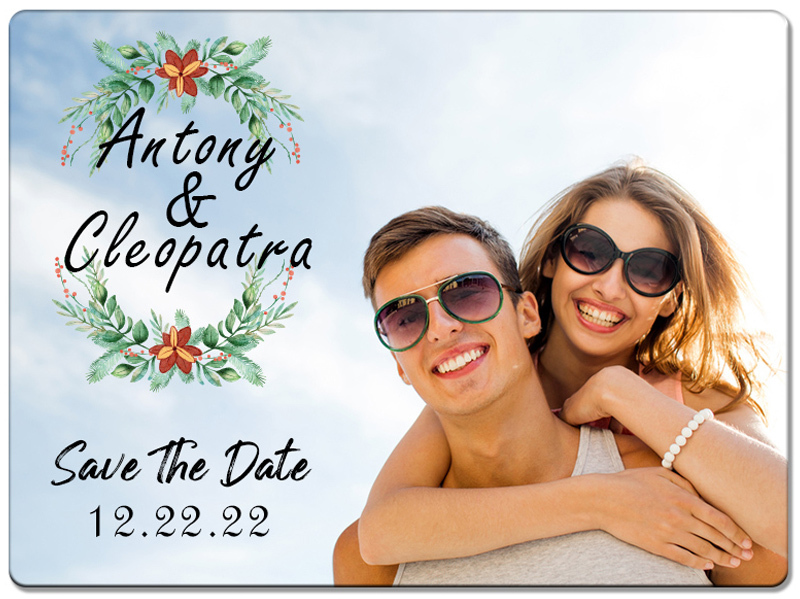 2×8 Wedding Save The Date Custom Magnets are perfect options for couples who want to try out something different than the customary square shaped magnets. This trendy looking photo strip save the date magnet will leave you with enough space for all those stylish snap shots that will keep your guests glued to these and see how the date gets registered in their minds in no time! The hard wearing magnets save the date magnets will serve as a lasting reminder of the wedding day until the invitation arrives. The generous imprint area of these magnets can be imprinted with the snapshot of the bride and the groom, the name of the couple , artwork or any romantic quotes to match with the theme of the day. These delightful magnets will subtly accentuate the party mood in the air months before the wedding bills chime!